Dot Medical has signed an agreement to distribute the Enhanced External Counterpulsation Systems in Britain for Vasogenics. 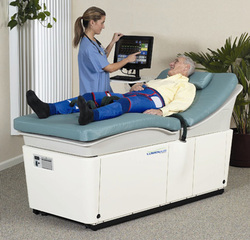 The EEC systems have been extensively used on patients suffering refractory angina with remarkable results. Patients with refractory angina have often had coronary artery bypass and or extensive stenting procedures but still have angina. Bearing in mind that EECP is often the treatment of last resort, publications seem to suggest that 85% of patients who are treated with EECP lose their angina pain and can lead a relatively normal life. There are currently nine centres in the UK which offer EECP treatment and it is expected that the number of centres will grow as this therapy becomes more popular. Other indications for EECP are Heart Failure, related kidney and liver diseases, and diabetes, all of which largely improve with treatment.